KONDO KAGAKU CO. LTD. announced that KONDO ANIMAL Turtle model robot 01, a new 4-legged robot will be put on the market on July 16, 2010． The turtle robot is the first one of the KONDO ANIMAL ROBOT Series. 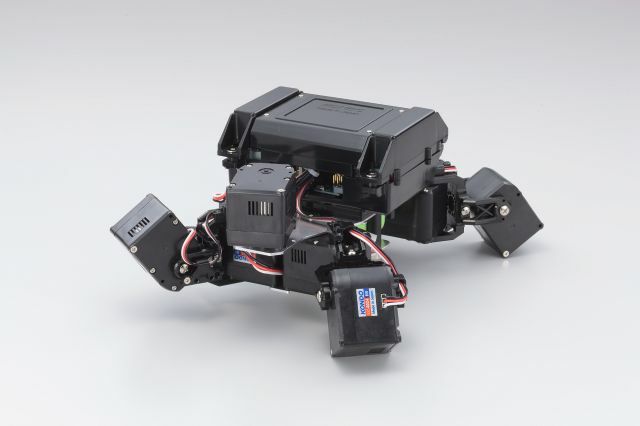 KONDO is the leading company of biped hobby robot and is known to a maker of KHR-series robot as KHR-1, KHR-2HV and KHR-3HV. The new robot is a new category robot, multi-legged robot. 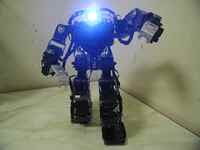 ROBOSPOT (KONDO KAGAKU CO., LTD) held an information exchange meeting about multi-legged robot on Jan 23rd, 2010. Some robot builders joined the meeting and exchanged the opinion. The 1st Multi-Legged Robot Contest sponsored by KONDO KAGAKU CO.,LTD took place on June 5th during the 6th KHR Anniversary. KONDO is also interested in the multi-legged robot. 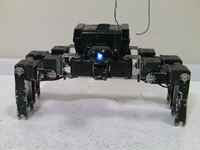 Multi-legged robot has been being miner robot compared with biped robot in Japan. Just G-DOG , a kit of 4 legs robot, was on the market from HIP JAPAN in July 2008. Recently, robot builders who has been making custom-built biped robot are interested in making multi-legged robot. The 1st Robot survival game of multi-legged robot will take place on July 19th, 2010 at Asobitcity in Akihabara, Tokyo. Multi-legged robot is stable to walk compared with biped robot and even low powered servo motor can move the body. Therefor multi-legged robot is suitable such a survival game of robot because it can load some equipments such as toy gun, camera etc. CD-ROM: manual, software, sample motions etc.